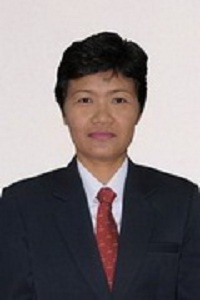 Ms. Wilawan Eaamvijarn teaches at Assumption College in Sriracha, Chonburi. In September she was suspended from the school following complains from several parents that she was slapping students on the face. The school apologised to parents but initially failed to punish ms. Wilawan. Only after the parents went to the police did the school suspend her for two months. When confronted Ms Wilawan claimed that slapping children was permitted under Ministry of Education regulations. We remind Ms Wilawan that MoE regulations ban ALL forms of corporal punishment in our schools. Her attitude probably explains why we get more complaints about this school than any other school in Thailand, over 20 every month from students and parents alike. It is clear that the school administrators are NOT making teachers aware of the law. We are pushing for the police and parents to take Ms Wilawan to court to try and ensure she is prevented form ever teaching again. You can see a news article covering this story here. Assumption College teacher accused of slapping students.